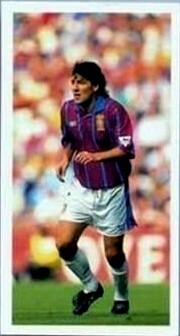 Villa almost won another league title in 1990, leading the pack right up until a late wobble in form saw them pipped by Liverpool. 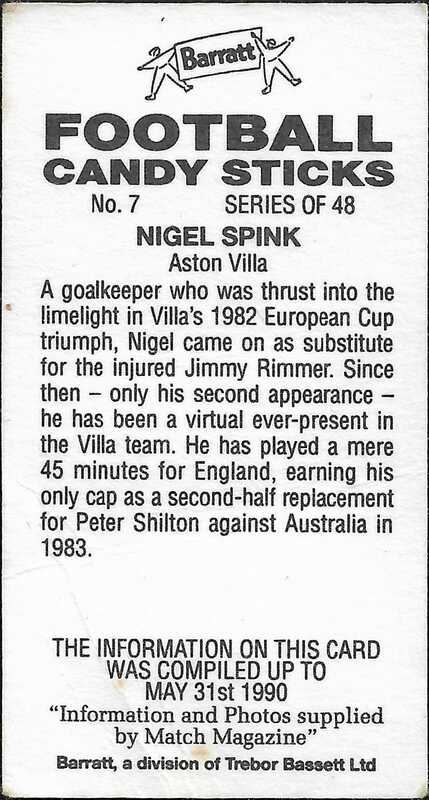 At that point the manager was poached for the vacant England job, but left Villa back at the top of the game. 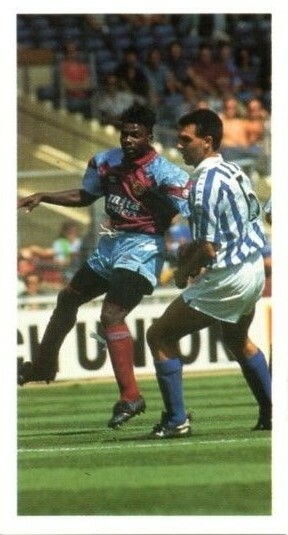 A couple of years later, the Premier League was formed and Villa again achieved a second-place finish. 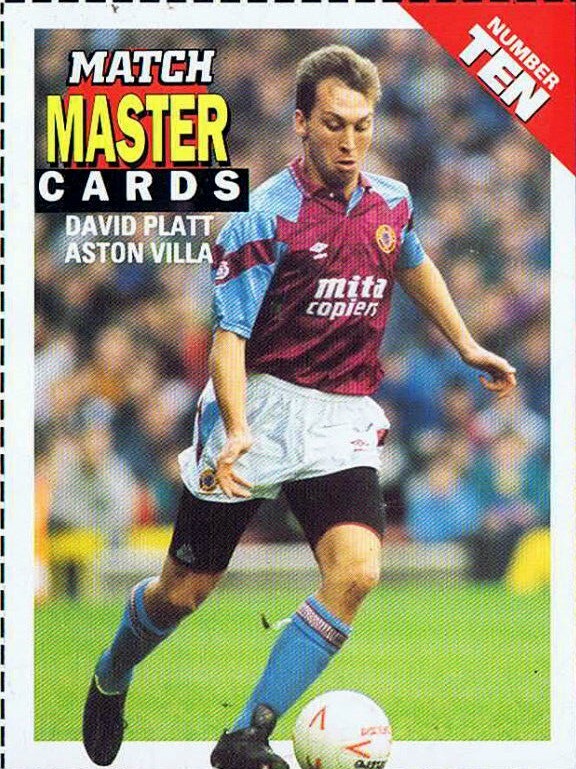 The following year they were back among the silverware with another League Cup triumph (victory in the final denying Man United an unprecedented domestic 'treble'). 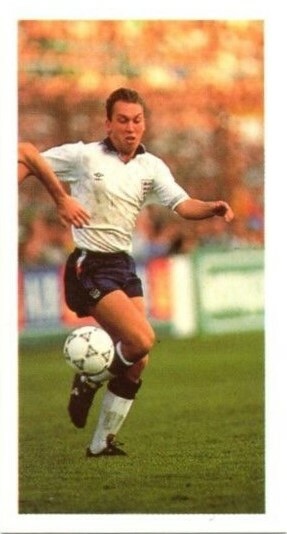 Platt represents Villa in the series, although he's pictured in his England kit. 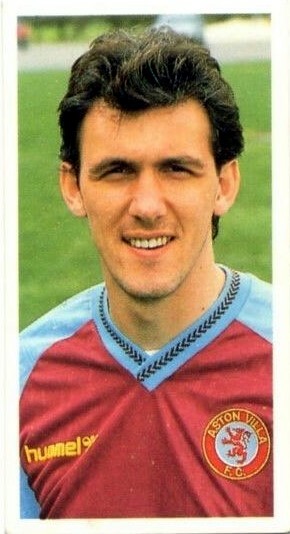 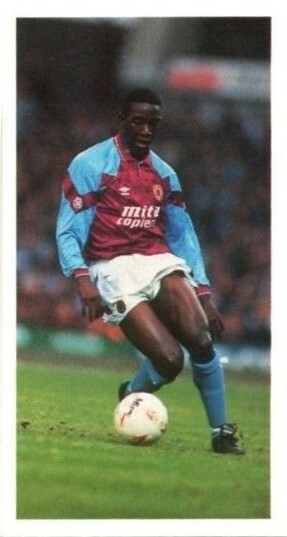 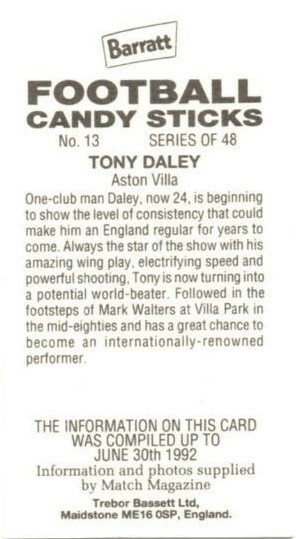 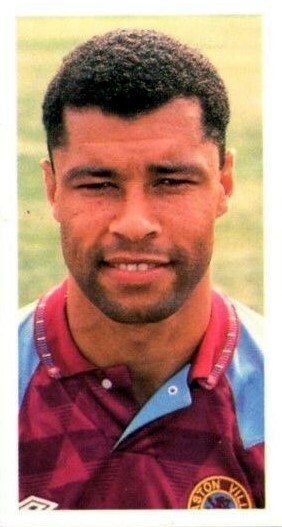 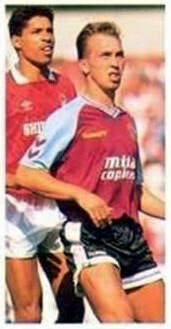 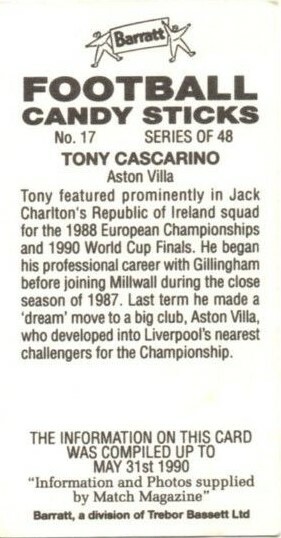 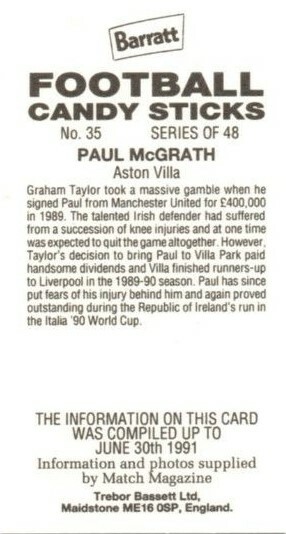 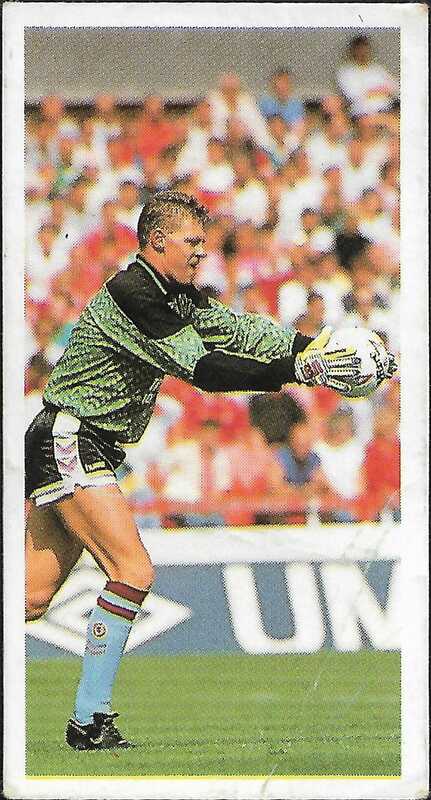 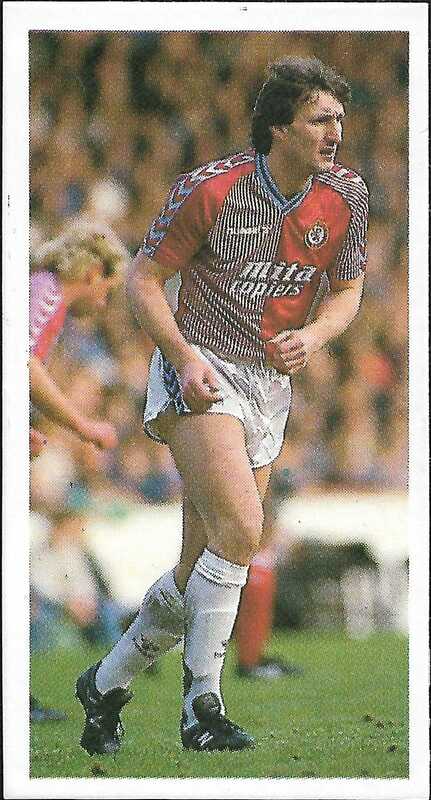 And here, we end our coverage of Aston Villa football cards. 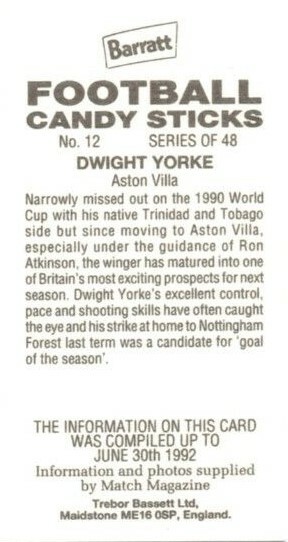 As will be known to the average collector, football cards underwent a fundamental change in the 1990s. 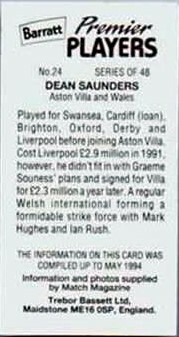 Whereas previously, cards had been given as freebies to entice buyers to purchase specific products and brands - as seen on this site - now they were re-invented as cards for their own sake, not as give-aways but as a product in their own right, generally sold in sealed packs containing a random selection. 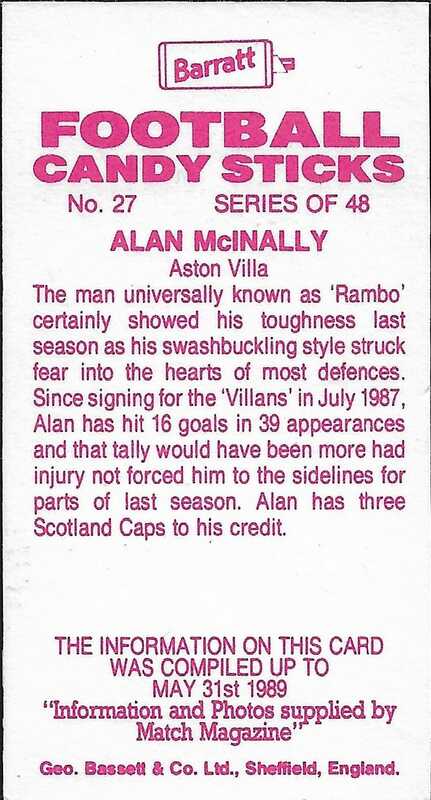 The process started around 1990 and continues to date; so make way for an avalanche of sets from Merlin, Shoot-out, Match Attax, Futera, Panini, Pro-Match and so on. 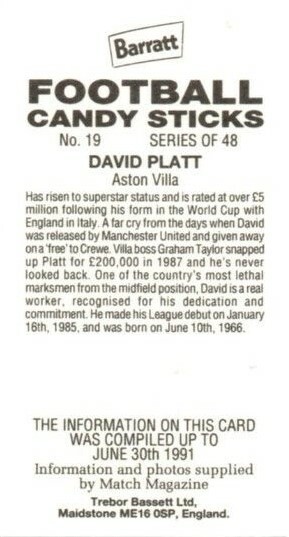 We finish our survey with the above, neatly rounding off a century of Aston Villa cards.